Missal (Missale). Germany; Middle 15th Century. Latin Text; Angular Gothic Script. 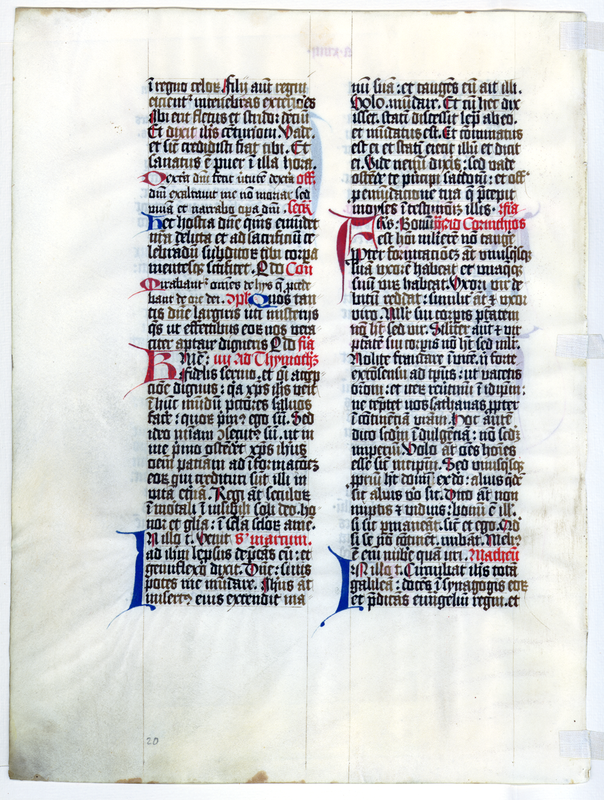 Observations: The main text of these large leaves is rendered in a dark slate-colored ink, with gradations that enable us to see when the scribe has dipped his pen. Some leaves include a striking ribboned capital letter in the top line highlighted in red. The first letter of each sentence is pricked in red, and each recto contains a red foliation (letter and Roman numeral) in the top center margin.